It’s about time I showed you what I’ve been up to recently. 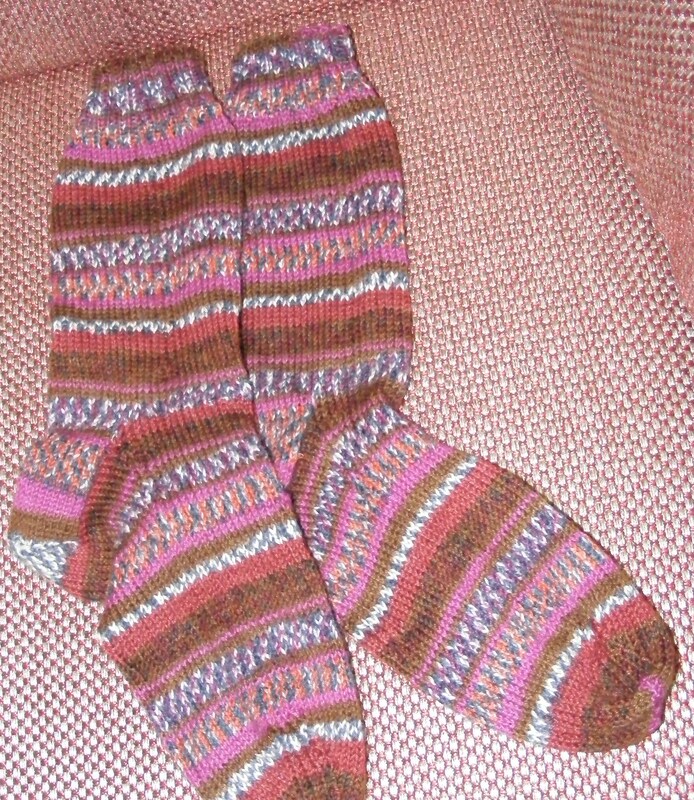 I’ve just finished my second pair of knitted socks. I knitted the first of this pair ages ago and then got side-tracked on knitted squares for a blanket. 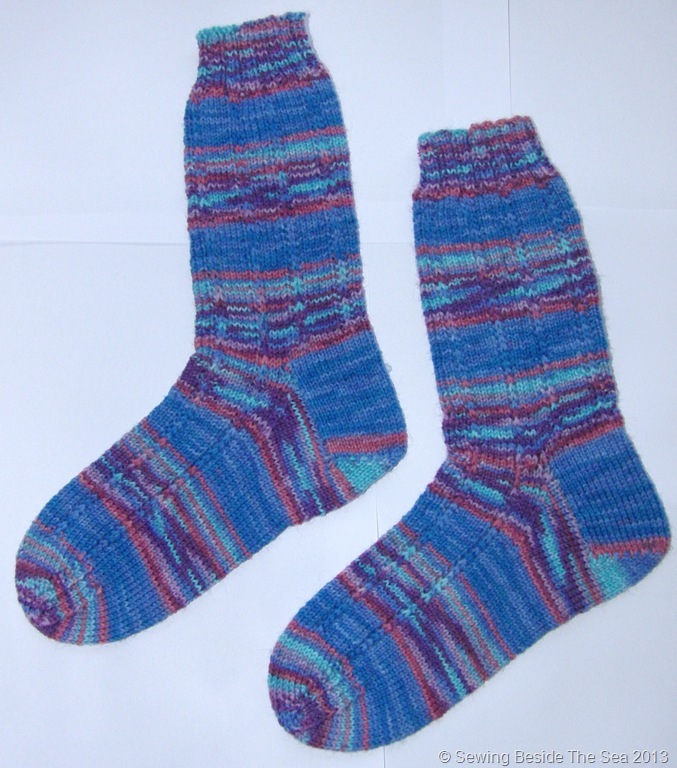 I wish I had more spare time to knit socks. 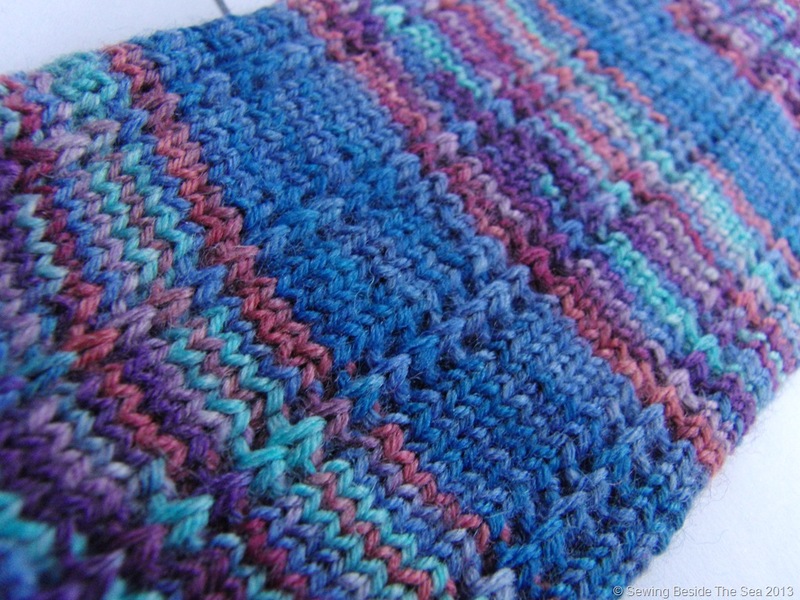 I love knitting on four needles because there is minimal stitching up to do at the end. 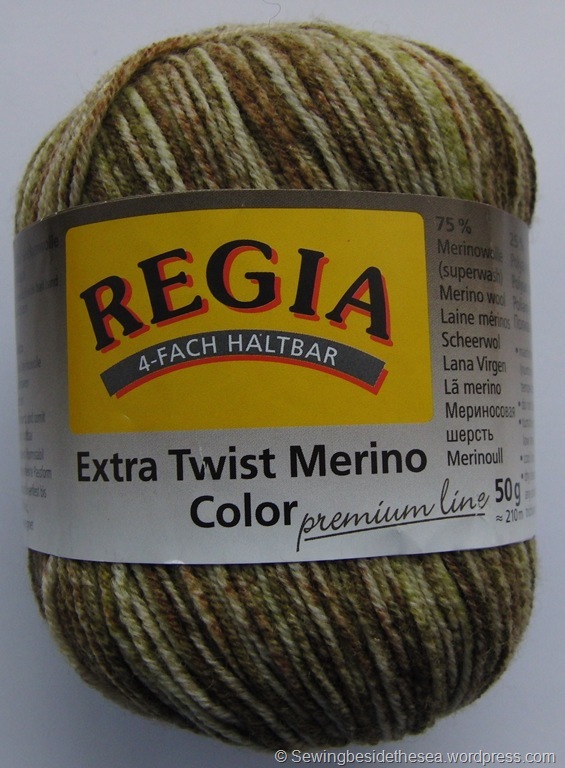 I used this wool that my sister bought me as a gift. She bought two balls and there’s still a lot left. Three balls would easily make two pairs like the ones I made. I altered a pattern called Jeck which is free on Ravelry.com by missing out the pattern stitches and knitting in rib and stocking stich only. I did start to knit the pattern but it was totally lost in all the colour changes of the wool so I pulled it out and knitted plain. I hope you’ve had a very crafty time this weekend! A few weeks ago, it was about time a dear friend of mine received a surprise gift. 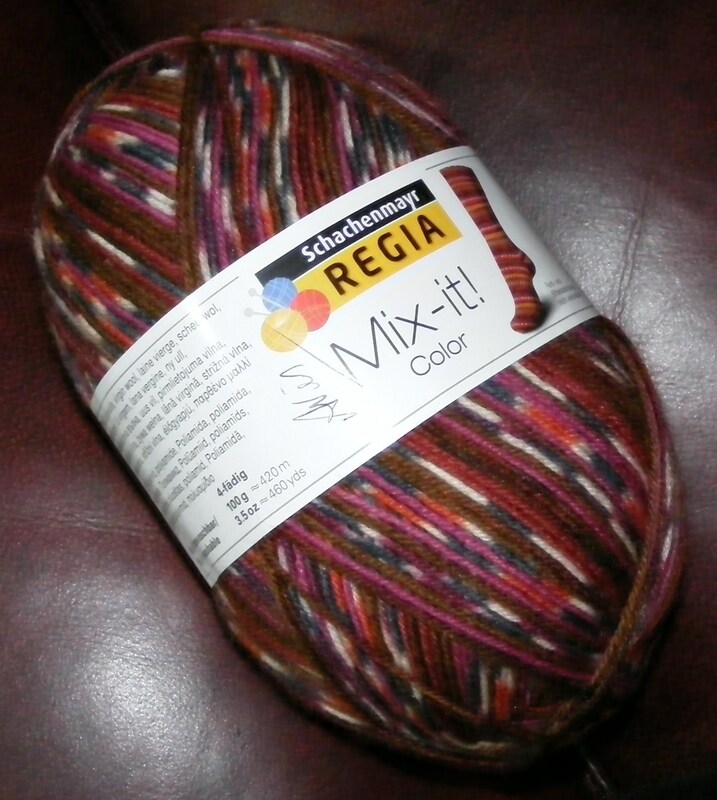 I’d been to my local yarn shop that day and couldn’t resist this sock yarn. 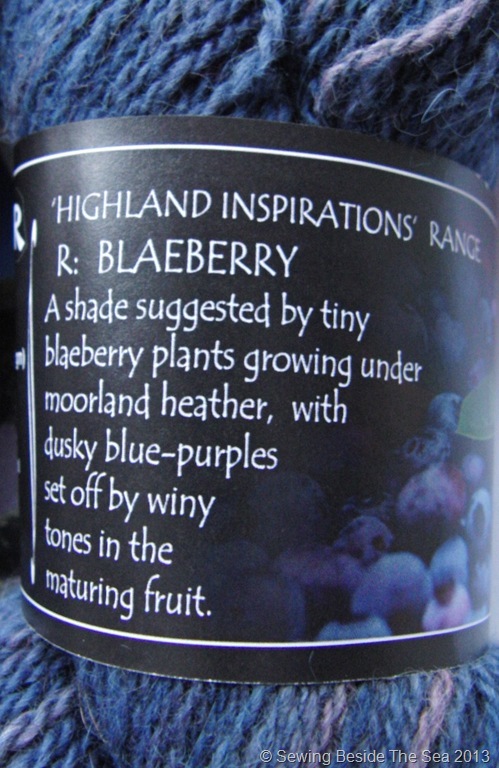 Firstly, because the socks on the label looked lovely and secondly because my friend had already showed me socks that she had made with wool that has some very short colour changes. Look what she made!!! Aren’t they gorgeous? I love the way this wool makes the socks look as though they are made with a very complicated pattern using lots of different colours. 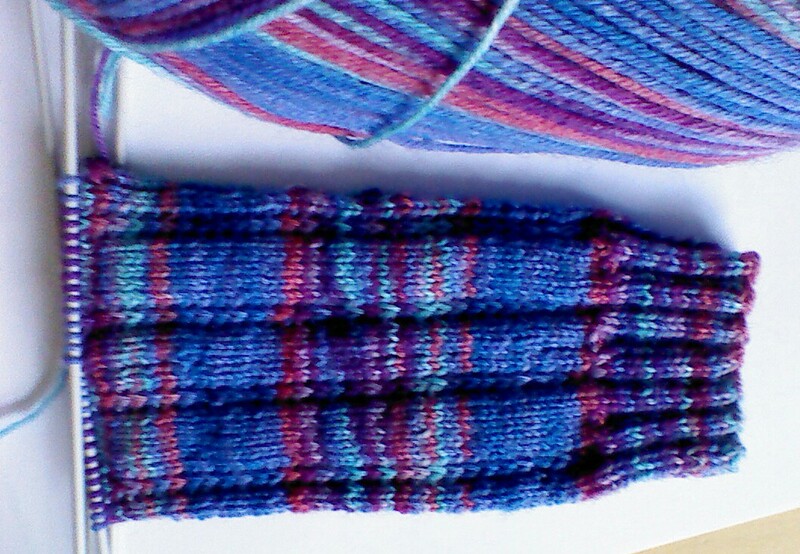 Starting to knit the second sock at the same point in the colour repeat as the first sock has produced two identical socks as if by magic! My friend has told me that she really enjoyed knitting them 🙂 Thanks to her for the photos and for inspiring me to get my double pointed needles back out again! 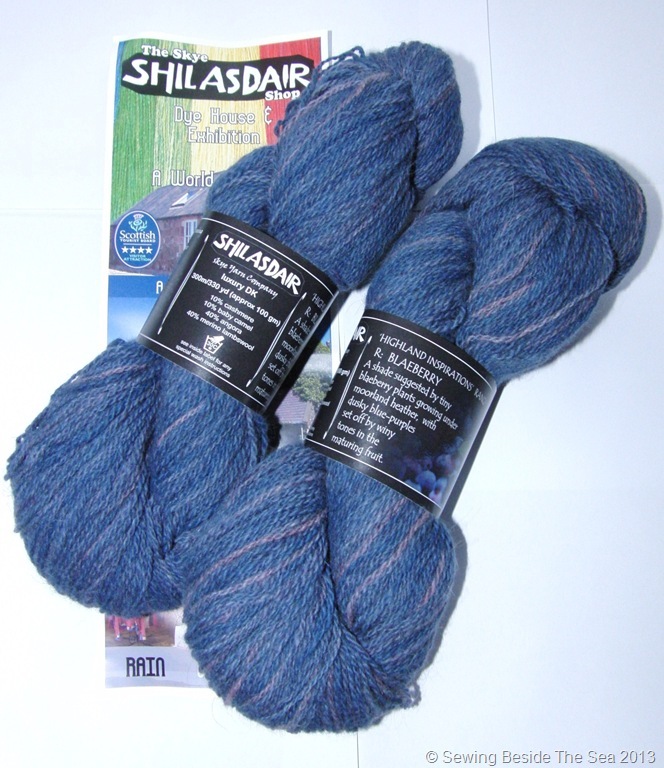 There’s another ball of sock wool waiting in my stash. 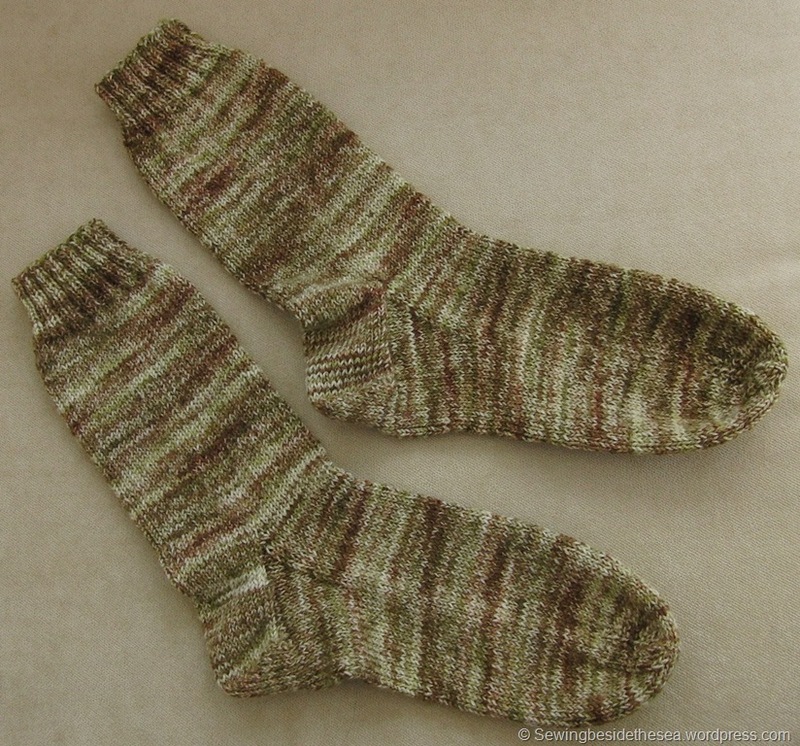 It’s time to knit socks! Here is my progress so far…. 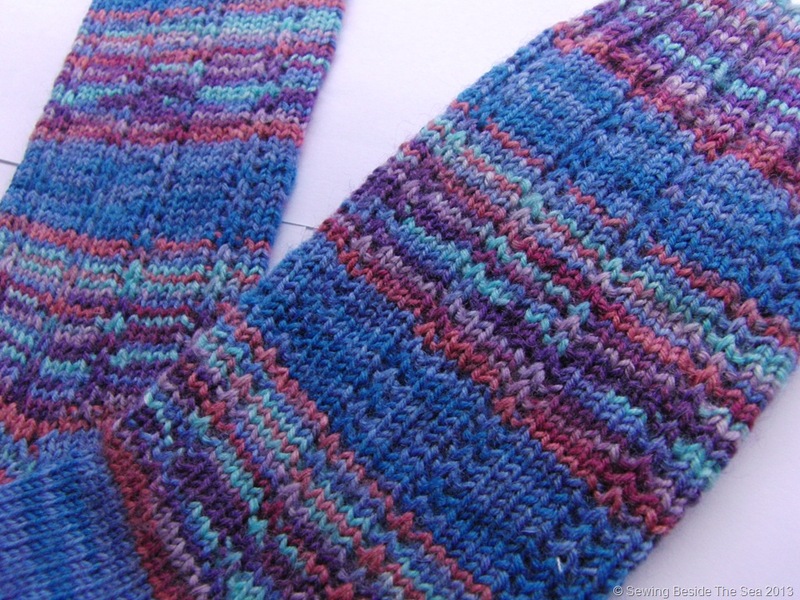 The free pattern I am following can be downloaded on Ravelry here. So far I’m managing to follow it but I’ll soon be up to the heel and I haven’t done one of those on two needles before so it could be interesting to say the least. I hope you all have a wonderful crafty weekend ahead! I know exactly what I’m going to do with this! I couldn’t resist popping in today to show you my very unexpected gift. 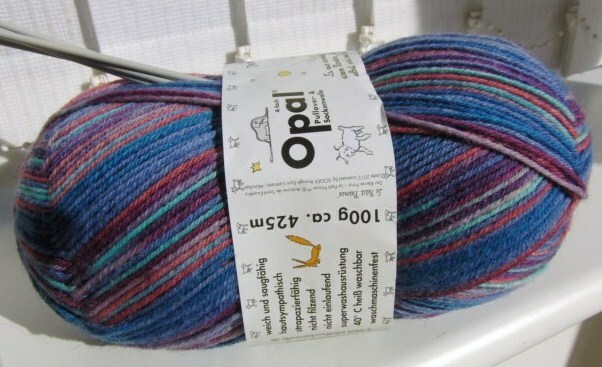 My daughter came to stay last week and she saw this yarn in her local craft market a while ago. She thought I would like it (well it is predominantly blue and purple) and she also bought the needles for a project that she knows I’ve been wanting to try for ages. Any guesses what I’m going to make? Also, I have a Linky Party to share with all of you thread and yarn fanatics. If you haven’t been there already, hop across to Woolhogs and enter this month’s Made it Challenge. I’ve actually entered a patchwork quilt from my other blog and the blackwork house from over here but you have until almost the end of September to add your own links. It’s just a bit of fun and we all like that, don’t we? Here’s wishing you all a super crafty time this week!